The executive director of Mississippi Public Broadcasting will be roasted by the state press association April 25 at an event to benefit its journalism education foundation. Ronnie Agnew, who has been chief executive for MPB since 2011 and is a longtime former newspaper journalist and editor, will be roasted by a panel of his colleagues and peers in a bid to raise funds for the Mississippi Press Association Education Foundation. Click here to view Roast Registration information. Click here to view Roast Sponsor Levels. In his work at MPB, Agnew has oversight of radio and television programming and the agency’s legislative, education and digital initiatives. He previously was longtime executive editor of The Clarion Ledger and Hattiesburg American. The event will be held at the Hilton Jackson with a reception at 6 p.m., followed by dinner at 7 p.m. Tickets are $80 each or a table for eight is $600. Corporate sponsorships are also available. Click here to register or for more information. For more information, contact Bruce, 601-981-3060. The Silver Em Awards Ceremony was held Wednesday, April 3, at the Inn at Ole Miss, the same evening dozens of journalism and integrated marketing communication students received awards for excellence. Emily Wagster Pettus, who has been reporting on Mississippi government since 1994, was selected as the 2018 Silver Em winner. As news staffs shrink across the country, state government reporters like Pettus have become an endangered species. Those who remain in the role understand the importance of their work in our democracy. “When there are fewer news outlets sending local reporters to cover the state capitol, there is less coverage of local issues considered by the Legislature,” she said. Pettus, who grew up in Texas, spent a year between high school and college as an exchange student in West Germany, then attended the University of Mississippi, majoring in journalism and German. She graduated in 1989 and worked for nearly a year at the Vicksburg Evening Post. 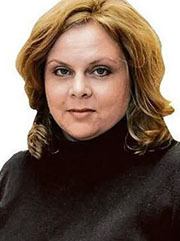 In May 1990, she began working for The Clarion-Ledger as the Rankin County reporter. Two years later, she moved to Ocean Springs in 1992 to work as the newspaper’s one-person Gulf Coast bureau reporter. “It was a great job because my editors were hours away and they trusted me to cover the biggest stories in the region,” Pettus said. During the fall of 1993, Pettus was on loan from The Clarion-Ledger to USA TODAY in Virginia, working as a copy editor for the international edition of USAT. In 1994, she was back in Jackson working as a legislative reporter for The Clarion-Ledger. She began working for the Associated Press in January of 2001 covering mostly Mississippi politics. Pettus said she’s aware the job is particularly important during challenging times for news organizations. The latest Pew Research Center study about statehouse reporters found that there were around 1,500 U.S. journalists who work to inform the public about the actions and issues of state government. Of those, nearly half do it full time, averaging 15 full-time reporters per state, even though numbers vary per state, often depending on population. Emily Wagster Pettus during a recent Overby Center program about Mississippi Politics. Pettus estimates the number of Mississippi statehouse reporters is equal to the Pew Research Center study’s national average of 15 per state. Fewer than a third of U.S. newspapers assign any kind of reporter – full time or part time – to the statehouse. A majority of local TV news stations – 86 percent – do not assign even one reporter – full or part time – to the statehouse. About one in six, or 16 percent, of all statehouse reporters work for nontraditional outlets, such as digital-only sites and non-profit organizations. Students account for 14 percent of statehouse reporters. Around 9 percent of all state legislative reporters work for wire services like Pettus. The majority of wire service reporters work for the AP. While her main responsibility has been covering Mississippi government – (you can read her observations in real time at the hashtag #msleg on Twitter) – Pettus said she has covered a variety of stories. Pettus said she is honored to be among other Silver Em award winners and proud she spent part of her career working for UM’s campus newspaper The Daily Mississippian and The Oxford Eagle. Will Norton, Ph.D., dean of the UM School of Journalism and New Media, said Pettus is smart, a hard worker, and a terrific reporter. Curtis Wilkie, Overby Fellow and assistant professor of journalism, agrees that Pettus has earned the trust of her readers. 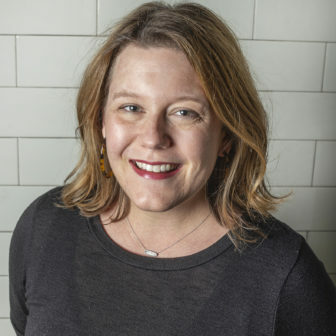 “She is one of the best reporters around and has been for as long as she has been reporting, quickly and reliably, all the news out of Mississippi for the Associated Press,” he said. The Silver Em award dates to 1958, and recipients must be Mississippians with notable journalism careers or journalists with notable careers in Mississippi. This article was written by LaReeca Rucker. For more information about the University of Mississippi School of Journalism and New Media’s programs, email jour-imc@olemiss.edu. The University of Mississippi is lucky to have so many media professionals who want to help mentor our students. Broadcasters from around the state came to meet broadcast journalism students Wednesday in the Student Media Center. This was the 6th annual Mississippi Association of Broadcasters Day at Ole Miss. Radio and television professionals met the students, viewed their work and offered good career advice. Derek Rogers, general manager of WCBI-TV and college representative to MAB, said the broadcast students at the School of Journalism and New Media always set the bar high. “The Ole Miss broadcast and journalism students are always prepared and have good quality work to share with us,” Rogers said. “The videography was particularly strong this year, and the storytelling was of higher quality as well. 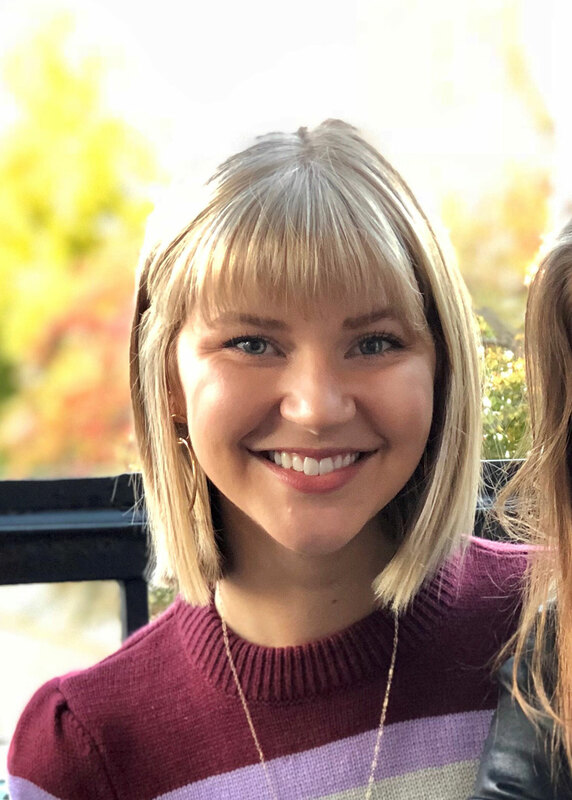 A University of Mississippi School of Journalism and New Media student who worked in student media just landed a job as a reporter with New York Daily News. Blake Alsup wrote to tell us it has been hectic trying to move and settle into his new apartment. “I started my new job as a national breaking news reporter at the New York Daily News on Feb. 25,” he said. “For years, I’ve dreamed of living and working as a journalist in New York. Now I’m working with an online team that seeks out relevant and interesting news around the country for our readers. 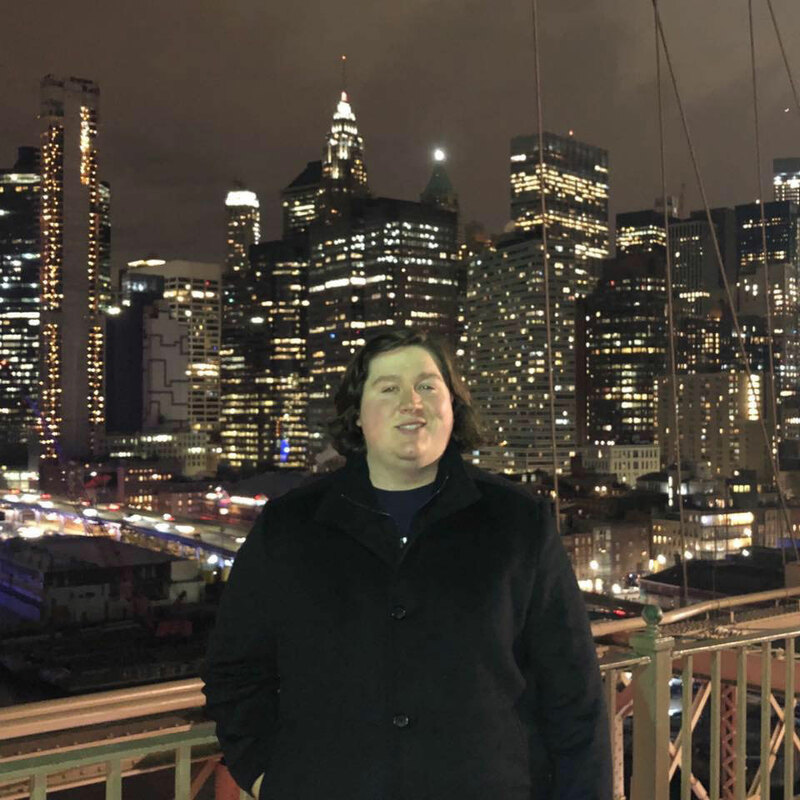 Alsup said he wouldn’t have landed the job if he hadn’t participated in The King’s College New York City Semester of Journalism in the fall 2017. He took classes and interned at the Daily News during experience. Are you a recent School of Journalism and New Media graduate who has landed your dream job? If so, we want to hear from you. Email ldrucker@olemiss.edu to share your story. To learn more about the King’s College program, click here. They attended their last classes and took their final exams in December. Now, these School of Journalism and New Media graduates have fully launched their careers and are ready to offer advice to this semester’s seniors. Annie Mapp is a December graduate now serving as a news reporter at WBTW News 13 in Mrytle Beach, South Carolina. 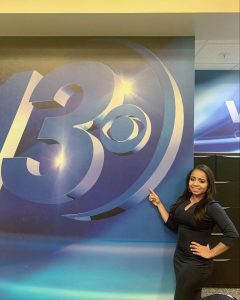 Mapp began her career at WBTW News 13 in January. A few months before graduating, she began applying to several news outlets throughout the southeast. Mapp’s advice for future graduates is to have a great resume and maintain strong relationships with professors. Annie describes her typical day as a news reporter as different and exciting, with new ideas always circulating and several opportunities for live broadcasting. “This career has been great so far because I have gotten experience in reacting and speaking in the moment,” Mapp said. Brianna Bynum is a multimedia journalist for WTOK-TV in Meridian, Mississippi. Bynum said she knew she wanted to jump right into her career upon graduating, so she began applying for jobs in October. She believes the key to finding a job so soon after graduating is consistency. “I took time every day to reach out to employers and apply to jobs,” Bynum said. Bynum describes a day in her career as busy and rewarding. 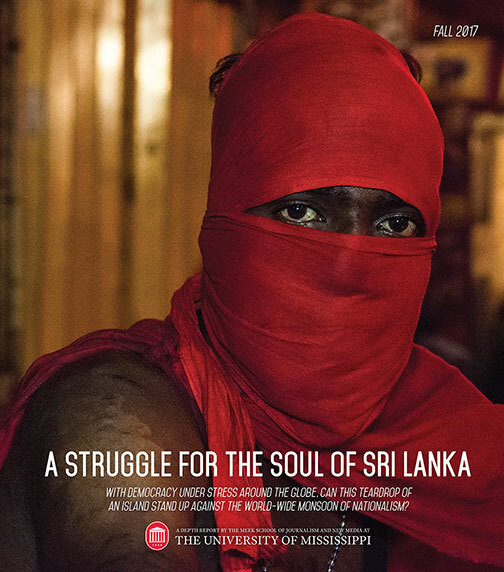 “As a multimedia journalist, I do all of the shooting, editing, writing and reporting for my stories on my own,” Bynum said. “So many different factors play into the story and writing scripts. Though still in the training process, Brianna is already participating in editorial meetings and gathering her own stories. She credits much of her success to the School of Journalism and New Media. 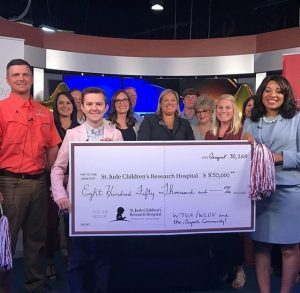 Sam Farris is the public address announcer for Itawamba Community College Athletics, a sports writer for the Northeast Mississippi Daily Journal/Itawamba Times, and a fundraising partner with St. Jude Children’s Hospital and the Make-A-Wish Foundation. Farris credits his achievements to networking with former employers and colleagues. Farris has been working closely with local ESPN 95.1 The Fan in Tupelo, Mississippi, and has future aspirations to own his own business. This story was written by Abby Adcock. 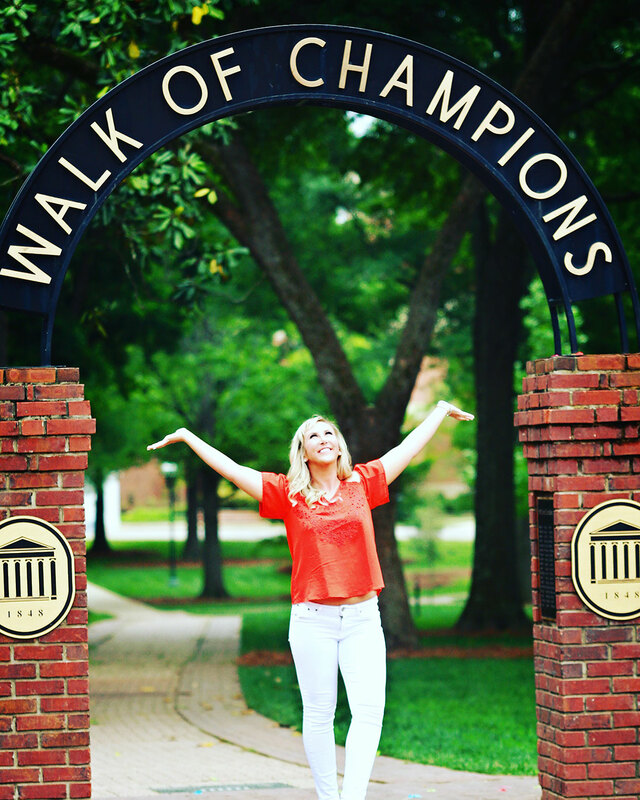 For more information about the University of Mississippi School of Journalism’s programs, email jour-imc@olemiss.edu. A class of University of Mississippi School of Journalism and New Media students participated in the rebranding process for a growing statewide news organization. Mary Margaret White, marketing and branding manager for Mississippi Today, said her staff worked with the UM class while considering a brand rehaul. Both groups learned from each other. “Working with the UM students helped solidify our decision to move forward with a full redesign of our logo, color scheme and home page,” she said. “We have a young, innovative team, and the original branding didn’t match the energy of our newsroom. White, who worked for eight years with the State of Mississippi for both the Mississippi Arts Commission and Visit Mississippi/Mississippi Development Authority, said the Mississippi Today homepage redesign now showcases more stories “above the fold” or “above the scroll” of your screen. It offers a nice balance between dynamic visuals and easy-to-access categories and sections, she said. White, who is an advisory committee member for the Center for the Study of Southern Culture, said the MT leadership team offered a real-world experience for the UM class. Lauchlin Fields, the Mississippi Today web editor, said the redesign better represents what MT is as a news organization. 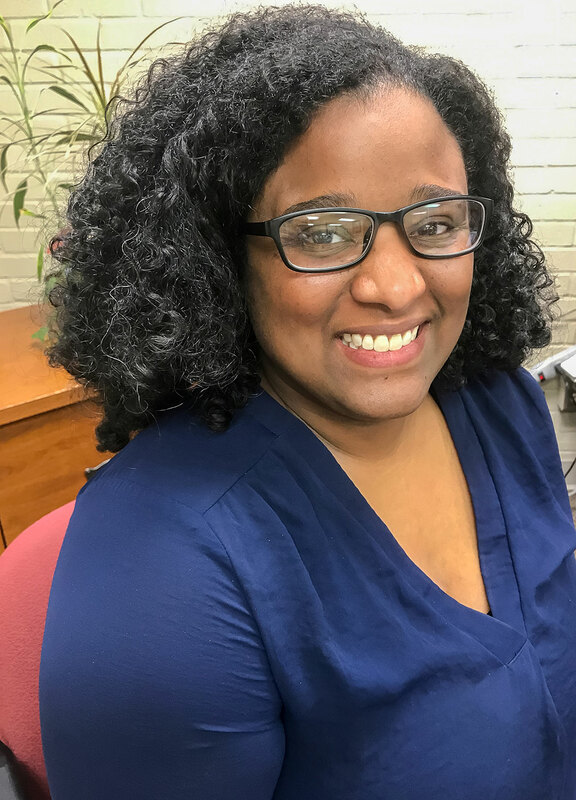 “It creates a renewed energy and a more user-friendly interface that helps us engage with our readers and increase reader loyalty,” said Fields, who began her career as a journalist at The Vicksburg Post. 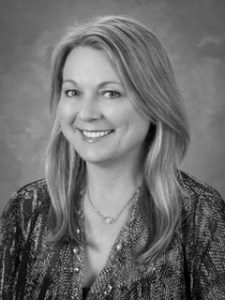 The UM students were led by Ann Day Becker, a School of Journalism and New Media integrated marketing communication professor. She said students in her fall 2017 IMC 455 Campaigns class offered input about the rebranding. Becker, who holds a bachelor’s degree in English literature and a master’s degree in business administration, both from Millsaps College, brings to the classroom more than a decade of experience in corporate communications for Entergy Corporation, a Fortune 500 company, and a decade as editor of Mississippi Magazine. While some actual design suggestions were presented to Mississippi Today by student “agencies,” Becker said ultimately MT pursued their own professional redesign, addressing some of the issues and opportunities noted by the students. Mississippi Today reporters Larrison Campbell and Adam Ganucheau in the press room of the state capitol with sign featuring the old Mississippi Today logo. Ganucheau is a UM School of Journalism and New Media graduate. From there, students conducted their own research, including surveys, to help make recommendations for future improvements, including suggesting ways to engage millennials. While Mississippi Today has not yet pursued one “student agency’s” idea of sponsoring a live Bruno Mars concert in the Grove at UM, Becker said they are hosting regular events called “Newsroom from the Taproom” that provide lively discussions on current news topics in popular watering holes around the state. 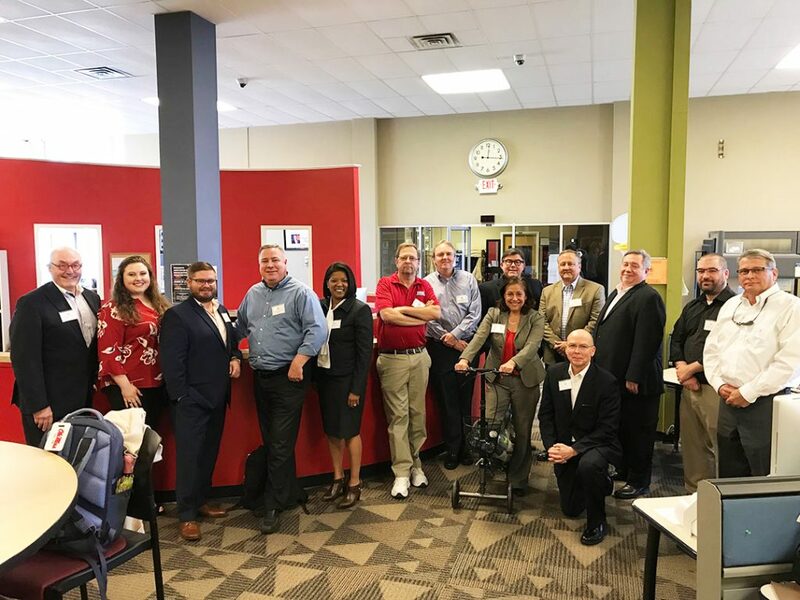 Becker said students appreciated being on the cutting edge of developing a new information resource for Mississippians that is designed and delivered digitally and is employing young talent to seek out the stories that matter most. Emily Valentine, 23, was one of the students who participated. The Charlotte, North Carolina native majored in IMC with minors in business and Spanish and now lives in Charleston, South Carolina. Valentine said she led her team, creating graphics for print and digital channels and a custom booklet outlining their rebranding process and ideas that was distributed to the client during her presentation. White said Mississippi Today has already seen substantial growth in readership both direct to the site and via their social media channels. This article was written by LaReeca Rucker. 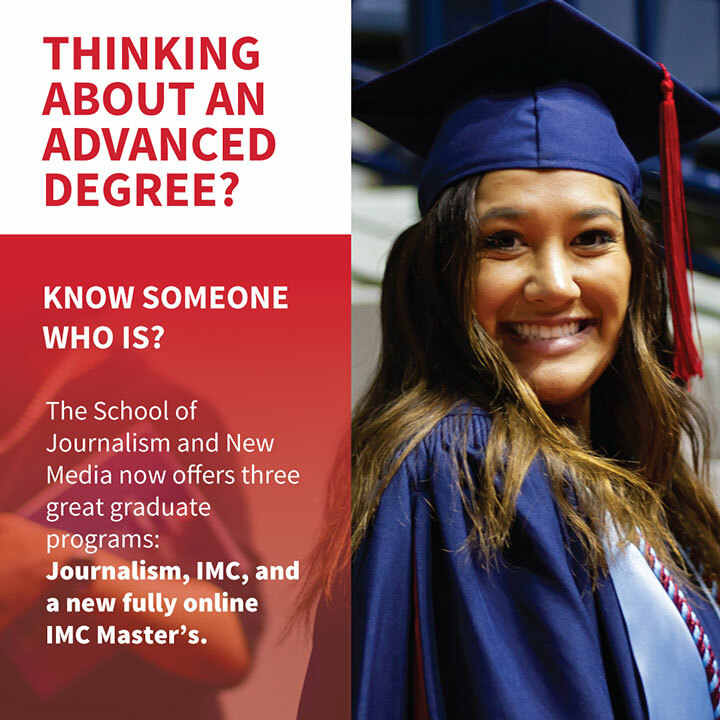 For more information about the School of Journalism and New Media’s programs, email jour-imc@olemiss.edu. 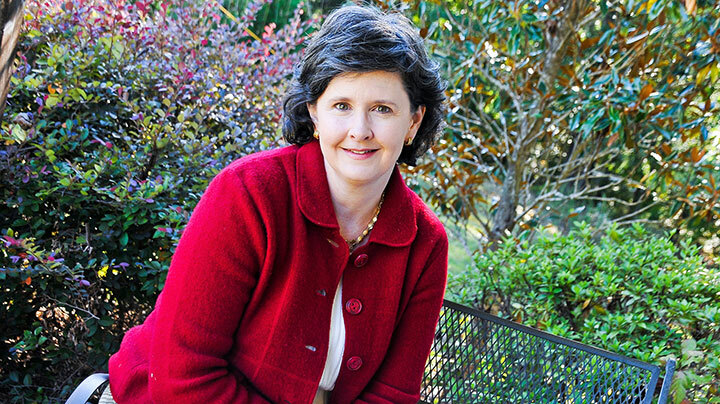 The Journal of Southern History recently published a review of University of Mississippi School of Journalism and New Media professor Ellen Meacham’s book Delta Epiphany: Robert F. Kennedy in Mississippi. 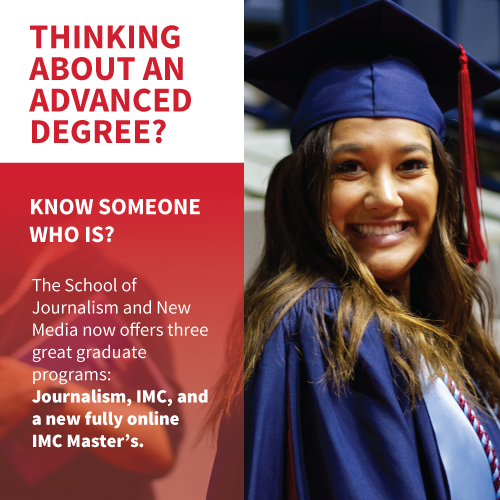 The University of Mississippi School of Journalism and New Media recently launched a new online integrated marketing communication master’s degree program. We asked a few students enrolled in the program their thoughts about it. Caroline Hughes, 25, is working on her master’s degree in IMC via the online program. She said she plans to use her degree to establish a company that prioritizes ethical business practices and spreads awareness around environmental sustainability. “Whether that be fashion or beauty, a crafted specialization and understanding of marketing communication I’ve learned as an undergraduate and graduate student will prove beneficial no matter the company focus or industry,” she said. Hughes said the program began with an introductory IMC course that laid the foundation of overall brand messaging, competition and target audiences. Following that course, Hughes’ Insights and Measurements class emphasized the importance of market research. “This included everything from conducting and facilitating studies to interpreting the data in order to make conscious marketing decisions,” she said. Hughes said she likes the flexibility of the online IMC master’s program. “As a marketing professional, it has been supremely beneficial to tackle my schoolwork outside of the working environment on my time,” she said. “Not only this, but having applicable work experience generates deeper understanding and connection with the material and projects assigned. Loidha Bautista, 37, is also enrolled in the online IMC master’s degree program. So far she’s taken IMC 501 – Introduction to IMC and IMC 503 – Insights and Measurements. Bautista said the online IMC master’s program is a rigorous program well designed for the working professional. Hailey Heck, 23, is based in Houston, Texas and enrolled in the online IMC master’s program. She attended UM as an undergraduate and graduated with an IMC degree in 2017. Heck said she works on the PR team for a “Big Law” law firm in Houston. She spends her days maintaining awareness – both internally and externally – of the fast-paced landscape of the legal industry in a variety of practice areas. Heck said she took an Introduction to Integrated Marketing Communication class last semester with professor Robert Magee, Ph.D., and an Insights and Measurements class with professor Graham Bodie, Ph.D.
Heck said she’s impressed with how much the IMC program has grown, and she values the convenience of the online IMC master’s program. To learn more about the online IMC master’s program, email jour-imc@olemiss.edu. 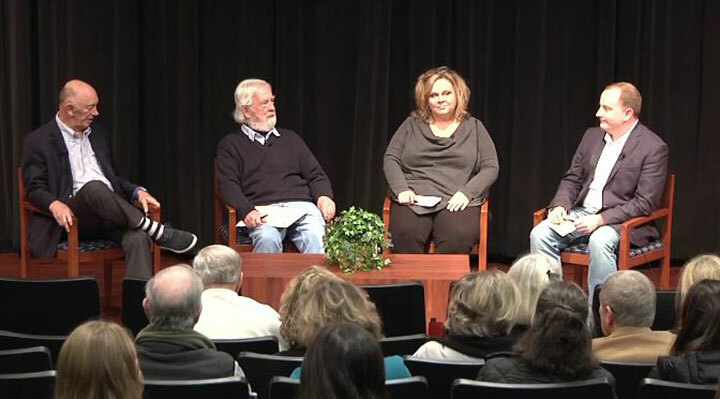 The Overby Center for Southern Journalism and Politics at Ole Miss begins its spring schedule next week with a lineup that accentuates politics and decision-making for an election year in Mississippi. Read more descriptions of upcoming Overby events below the graphic. 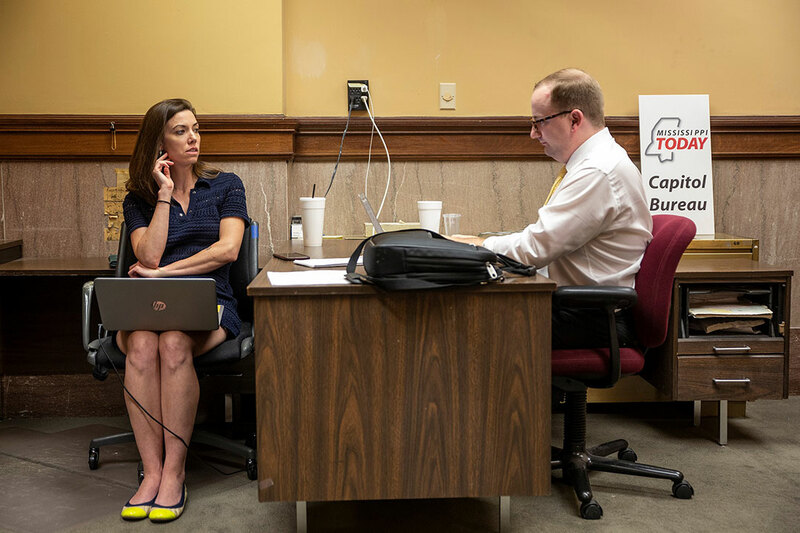 Two seasoned journalists who cover state politics – Emily Wagster Pettus of the Associated Press and Adam Ganucheau of Mississippi Today –will provide early intelligence on the developing contests for statewide offices this year. They will talk with Overby and Overby Fellow Curtis Wilkie. Burnis Morris, an Ole Miss graduate who is now a journalism professor at Marshall University, returns to campus to discuss his new book based on the work of Carter G. Woodson, who was called the “Father of Black History.” He will be joined in the conversation by Alysia Steele, the author of “Delta Jewels” and a member of the journalism faculty at Ole Miss. U.S. District Judge William Alsup of San Francisco and attorney Danny Cupit of Jackson were white high school and college friends in the segregated environment of Mississippi in the 1960s. Alsup has written a book, “Won Over,” about how he broke through the segregationist status quo to become a civil rights advocate. He and Cupit will talk with Overby and Wilkie about their experiences. Otis Sanford, Hardin Chair of Excellence in Economic and Managerial Journalism at the University of Memphis, has been selected by the Memphis Chapter of the Public Relations Society of America as its 2018 Communicator of the Year. The organization honored him at its monthly luncheon Jan. 10 at the University Club. Sanford, a Mississippi native and 1975 graduate of the University of Mississippi, began his professional journalism career at The Clarion-Ledger in Jackson, Mississippi. He joined The Commercial Appeal in 1977 and was part of the reporting team that covered the 1977 death of Elvis Presley, rising through the newsroom to become managing editor and editor of opinions and editorials, before moving into academia in 2011. 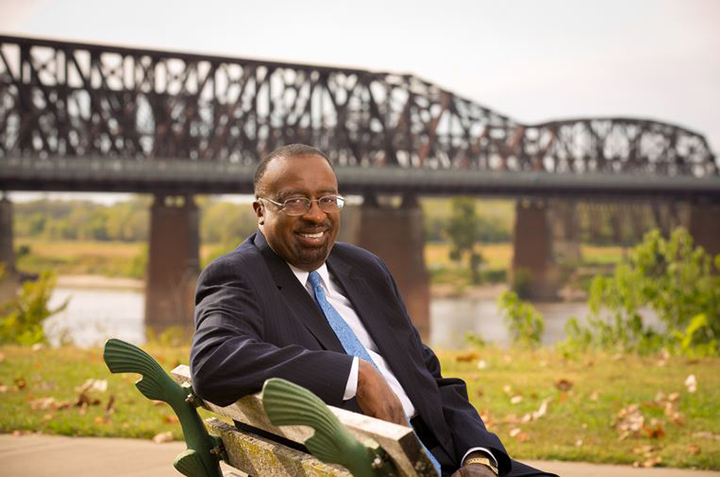 Sanford now serves as the Hardin Chair of Excellence in Economic and Managerial Journalism at the University of Memphis, and is the author of the critically acclaimed book, From Boss Crump to King Willie: How Race Changed Memphis Politics. Sanford also writes a weekly political column for the Daily Memphian online news site and serves as political analyst and commentator for WATN-TV Local 24 News. This will be the 42nd year that the Memphis Chapter of PRSA will honor its Communicator of the Year. The award is given to a member of the community who exhibits the ability to communicate effectively to general or specific publics; has public visibility and is a respected member of the community, who invests his or her time and talent conveying a specific message. “In choosing Sanford, PRSA Memphis recognizes his ability as a communicator to raise public awareness concerning the challenges that have affected Memphis over the last 40 years,” said Sarah Sherlock, president of the Memphis Chapter of PRSA. A nationally recognized speaker on journalism ethics, education, and the First Amendment, Sanford is also the recipient of the Silver Em Award from his alma mater, the University of Mississippi, and the annual print journalism award at the University of Memphis was named in his honor. He is past president of the Associated Press Media Editors and past board chairman of the Mid-America Press Institute. In 2014, he was inducted into the Tennessee Journalism Hall of Fame. The Communicator of the Year award was established in 1976 with Bud Dudley, founder of the Liberty Bowl, its first recipient. The list of honorees includes, Ron Terry, Cecil Humphreys, Fred P. Gattas, Olin Morris, D’Army Bailey, Judith Drescher, Fred Jones, Gerry House, Dr. Scott Morris, Arnold Perl, Linn Sitler, W.W. Herenton, John Calipari, Beverly Robertson, Bob Loeb, Toney Armstrong, Dr. Todd Richardson, PhD, and Mauricio Calvo. Tickets to the luncheon are free for PRSA members, $25 for non-members, and $15 for students. For more information or to register for the award luncheon visit: www.prsamemphis.org.